Built in 1487 and dedicated to the Holy Cross, the monastery at Patrauti is the oldest surviving religious site founded by Stephen the Great. Mural paintings, dating from around 1550, can still be admired on the west façade. 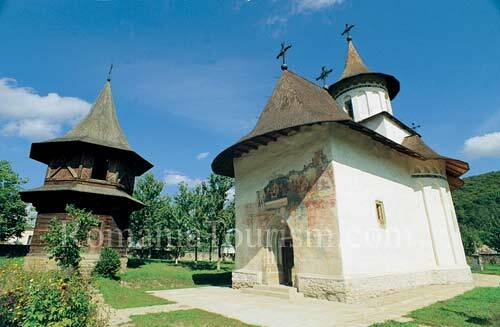 In 1775, soon after Bucovina was annexed to the Habsburg Empire, the monastery was turned into a parish church. Today, only the church and a wooden bell tower are still standing from the original monastic complex.